Do autonomous cars give you flashbacks to the movie Christine, with images of evil cars run amok? 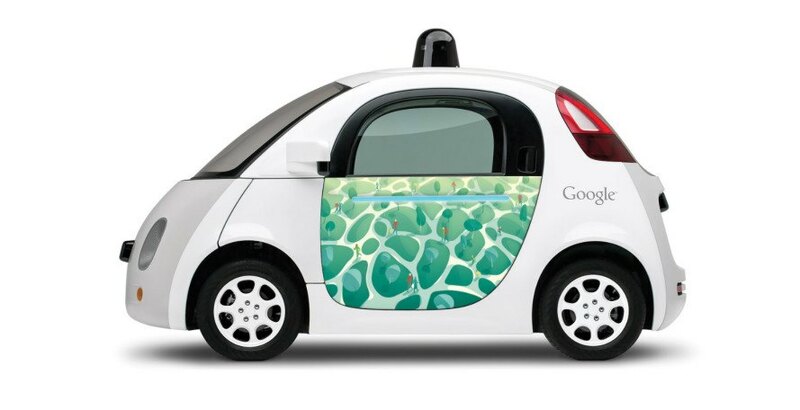 Google hopes to change that perception by making their already-adorable self-driving cars just a little bit more cute. Google called out to the local artistic community to find people to paint their cars in the theme of "My community, my neighbors." The project, part of Google's Paint the Town initiative, essentially turns the company's cars into real-life Google doodles. Last June, Google put the call out to California artists to come up with drawings that fit the theme, “my community, my neighbors.” Most of the doodles are “cartoony” in nature, matching the feel of the Google car, featuring birds on a wire, the Santa Cruz Beach Boardwalk and other iconic California scenes.